So many people have supported me through the years, in so many ways, that I have to give some love back to a few of my new favorite authors, inventors and friends. When we opened the Museum Of Motherhood seven months ago, we wouldn’t have been able to do it without the unwavering and unconditional support of Debra Whitefield and Barry Hanson of Gymboree. The Motherhood Foundation didn’t have huge backing. No loans, just a vision, volunteers and a legacy project worthy of the HERstory books. Thank goodness Deb and Barry said ‘yes’. If you want to support the people who support the museum, please tell all your pregnant friends, new moms and families that Gymboree is the place to go for fun, physical and social-emotional learning. There are multiple locations in Manhattan, Long Island and across the country. Gymboree classes are designed to encourage age-appropriate learning through play. The most popular class, Play & Learn, is a 7-level program beginning at birth and going all the way up to age 5. Separating classes based on developmental stage helps to support a child’s growth at his or her own individual pace. From sensory stimulation to problem-solving games and storytelling, classes use play-based activities to stretch the body and mind. All Gymboree activities are designed to help develop the cognitive, physical and social skills of children as they play. Our Museum Of Motherhood store is right around the corner from the Upper East Side Gymboree on First Ave., between 84th and 85th St. Our shop is really just a corner near the front desk as you enter the space. Ashish Rajadhyaksha, who coordinates the Children’s Museum Of The East End Store, in Bridgehampton, NY, helped up fill the space with great toys and cool gear during the first four months of our opening. He’s now the proud inventor of a really neat piece of kid’s furniture called a ‘Pullo’man‘. If you’re a city dweller or a suburbanite, this practical storage unit is combo plush toy and ride-on toy. He’s got a Kickstarter campaign going to help raise the capital to manufacture and bring these to America from his home country of India. I bought one to support him and look forward to using it in the museum in our playspace. You can support his efforts by going directly to Kickstarter today. Last but not least, my fabulous new favorite writer is V.C. 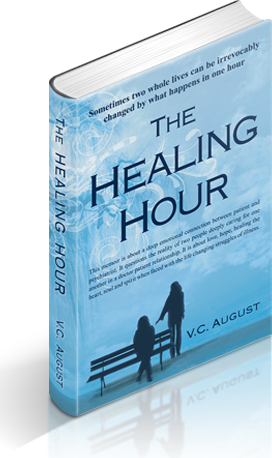 August, author of ‘The Healing Hour‘. I brought the book away with me on vacation, not knowing what to expect. I’d met V. a few weeks before at a power-luncheon organized by Donnetta Campbell of The Barnyard Group. It’s not easy to write about illness, especially an illness likeLupus, that can just go on and on with dreary, desperate symptoms. But, V. spins a tale focused on her life as a tough-minded New Yorker, and tells this tale with humor and clarity. Her writing style is honest and to the point. While the book’s synopsis says the story focuses on the psychiatrist/patient relationship; she enters therapy, and goes through the ultimate loss, when her psychiatrist is diagnosed with stage four cancer, and succumbs to the disease. How could this be a good vacation book you might ask? It’s simply a really well-written affirmation of life, survival (V’s survival) and love. I wasn’t paid to write any of this. I’m just a hard-working Mama, who believes in sharin’ the love. Thank You Working Mother Magazine For The Shout-Out For Museum Of Motherhood! There are mustard museums, marble museums and car museums, but no museum dedicated to motherhood. That will soon change when the Museum of Motherhood, led by Executive Director Joy Rose, opens a pop-up space in New York City with a national presence. Joy Rose has been working for almost a decade to bring a museum dedicated to motherhood to life. Her dream will become a reality this September when theMuseum of Motherhood, or M.O.M., opens a pop-up space on the Upper East Side of New York City—which will includes exhibits, a performance space and teaching facilities. Rose, a mom to four, has a long history of championing mothers. She is the President and Founder of Mamapalooza, which produces large festivals across the country celebrating moms and is also the guitarist and lead singer of a rock band called Housewives on Prozac. Rose won the Susan B. Anthony Award from NOW in recognition of her grassroots activism in 2009. Profession: Joy Rose is the MediaMomTM and president of Mamapalooza Inc. – a Media and Events Company priding itself on; Women-Empowered, Mom-Branded, Entertainment, Education and Business. 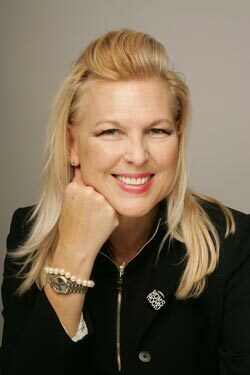 She is primarily concerned with amplifying the voices of women with a special emphasis on mothers and is the Susan B. Anthony award recipient for her work on behalf of women and girls from NOW-NYC (2009). 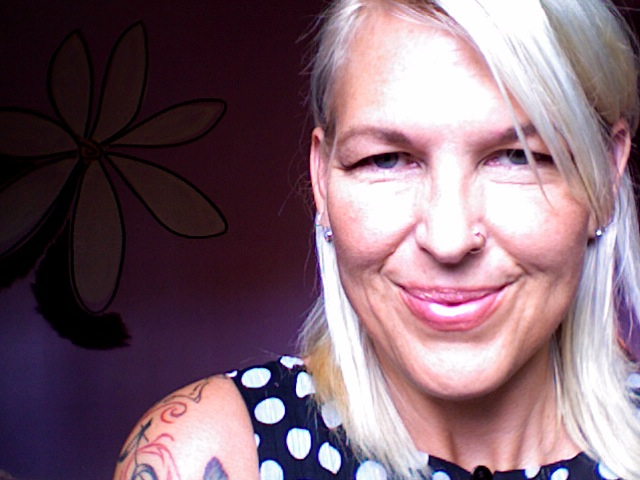 She has been featured in the indie film Momz Hot Rocks, and is the founding executive director of the Museum Of Motherhood in addition to MuseumOfMotherhood (BLOG),www.Mamazina.com (Magazine). 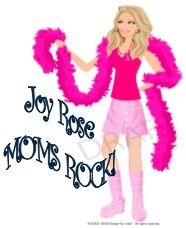 Joy is probably best known for coming up with the saying ‘Moms Rock’, which can be found on popular bumper stickers and tee shirts. Her weekly online TV show airs each Wed. on MingleMediaTV at 7PM (EST). Q: You had your children when you were both under age 35 and over. Why did you decide to become a mom later in life? Tell us what your road to parenthood was like.